You couldn’t tell who the fresher team was. The Hitmen fought hard in their third game in three days Sunday night in Medicine Hat, but couldn’t complete the comeback in a 5-4 loss to the Tigers. Kaden Elder scored a pair of goals while Cael Zimmerman and Luke Coleman provided the other markers. Jack McNaughton ended the night with 28 saves in the loss. 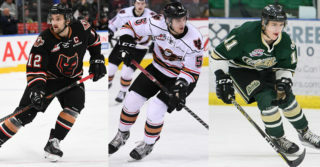 For Medicine Hat, Linus Nassen scored twice including the game winning goal with Corson Hopwo, Josh Williams and Hayden Ostir adding single markers. Jordan Hollett made 36 saves, with 15 coming in the final 20 minutes. The Hitmen got off to a fast start, firing the first six shots on goal and seemed to have the Tigers on their heels early on. 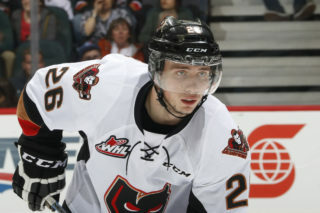 Fortunes would reverse as on Medicine Hat’s very first shot, Hopwo was able to score with one hand while fighting off a Hitmen defender for the 1-0 lead. Just 15 seconds later, Zimmerman would get the Himen back even as he banked a shot from behind the net off Hollett that found its way into the cage. Things would then start to get away from the Hitmen as the Tigers would score two goals 1:36 apart from each other late in the frame to carry a 3-1 lead into the second period. 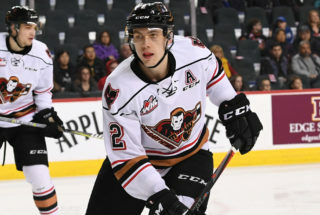 Elder would get the Hitmen back within one after a mad scramble in front which he would clean up six minutes into the second stanza to give the Hitmen life. After the Hitmen failed to capitalize on a powerplay, Medicine Hat would strike quick again four minutes apart to build up a 5-2 lead. Coleman would cut the lead back down to two on a partial breakaway that he slid between the pads of Hollett for his fourth. 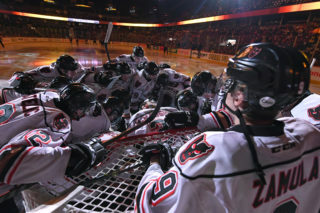 The final 20 minutes was all Calgary, as the Hitmen dominated play from start to finish outshooting the Tigers by an eye-opening 16-1. As the offence created chance after chance, Elder’s second goal on the night came off wrist shot in the slot high in the top left corner to get them back to within one with two minutes left to play. 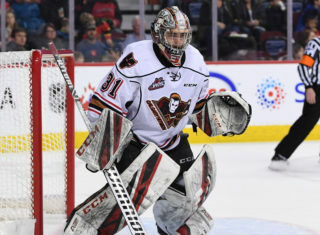 The Hitmen continued to pour on the attack but couldn’t find the game-tying goal as the Tigers were able to hold on despite being heavily outplayed in the final period. With a few days off after a busy weekend, the Hitmen will now travel to Lethbridge to take on the Hurricanes for the third meeting of the season against the Hurricanes.